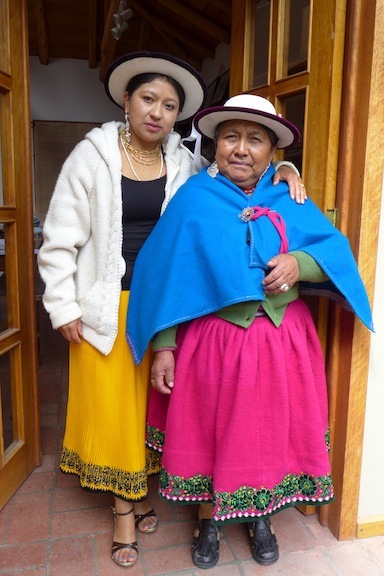 Dear Friends: Without looking at the calendar I seem to have an internal clock that tells me the day has come to write the annual fundraising letter for the Cañari Women’s Education Foundation. So let me start as I did last year, by introducing our scholarship women. The photo above was taken at our June meeting, right before I left Cañar, when the gathering brought together both our graduates and present scholars – an amazing group of women! 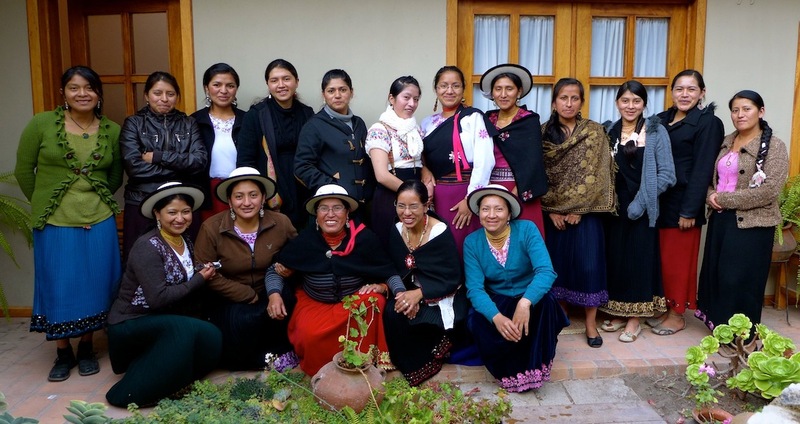 2015 marks the tenth anniversary of the scholarship program in Cañar, and we are thrilled to have twelve graduates and ten women presently studying (I count and see not all are present). I’m particularly pleased to report that every graduate is employed, almost all in their chosen professions and in their home communities: lawyer, agronomist, nurse, economist, dentist, psychologist, nutritionist, veterinarian, and more. In many cases they are the first indigenous woman in their fields. One purpose of the meeting was so our graduates could inform and inspire incoming and present scholars: to urge them to keep studying no matter what (marriage, childbearing, failing to pass courses); to keep their eye on the prize of becoming a professional indigenous woman; and to describe life in the post-graduate, working world. It was a wonderful celebration that began with a communal lunch, followed by testimonials (a tradition in Cañari meetings) and a few tears (also a tradition). Three years ago, President Correa’s government announced that higher education at state universities would become tuition-free. This was the good news. The “bad” news was that every student aiming for university had to pass an exam similar to the SATs in the U.S. The law took effect suddenly, and Cañari students, along with rural students everywhere in Ecuador, were ill-prepared to take these exams, as were their teachers to meet new instructional standards. Chaos ensued, with thousands of students failing to pass the exams, and more applying for “free” education than places were available. Our Cañar board of directors considered options. Even the best students at local high schools were not getting into university. We thought about giving stipends for prep courses, but were stumped at the thought of trying to decide who should receive such help. But we did agree to give a scholarship to any woman applicant who was accepted into a university, rather than require that they complete the first year (our previous rule). For two years, as young women came knocking on my door, I listened and made notes as they told stories of failing the exam multiple times, feeling adrift and out of school when all they wanted was to continue studying. It was heartbreaking, but slowly the situation resolved: teachers learned to instruct toward the exams, students learned how to take the exams, and market forces weighed in with a new industry of test-prep courses of varying qualities named for Albert Einstein, Copernicus and Stephen Hawking. This year we have ten women holding scholarships. Some had begun courses before the exam requirement and applied mid-stream in their studies. Others took the exam two or three times and finally got a score that allowed them to enroll. (Different degree programs require different scores.) And others benefited from the higher standards demanded of teachers (while raising their pitiful salaries so they didn’t have to work second jobs), and passed the exam in their last year of high school. Families are crucial to the success of our program, and they support their daughters in many ways: sending food, giving encouragement, babysitting. Most scholrship women are the first in their family to go beyond high school (or 8th grade) and you can imagine the tremendous pride at the moment of graduation. All the women study full time at state institutions, most at the University of Cuenca or the Technical University in Riobamba. They live away from home in rented rooms with shared kitchens, coming home on weekends and holidays. The Foundation gives each woman a monthly stipend of $100 or $120 to help cover fees, room and board, travel and other expenses for the five years of most undergraduate degree programs. 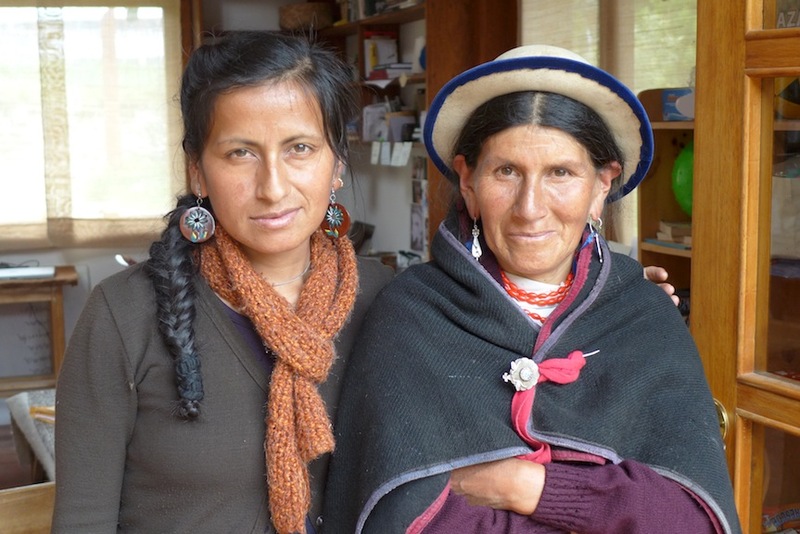 We also provide a one-time $500 to each woman for thesis and graduation costs, which means our support for each woman averages about $1500 a year, an amazingly low cost for a university education in any country. Since 2012 we also offer our graduates a stipend for master’s degrees. A huge thanks to all of you who have supported the scholarship program over the years. 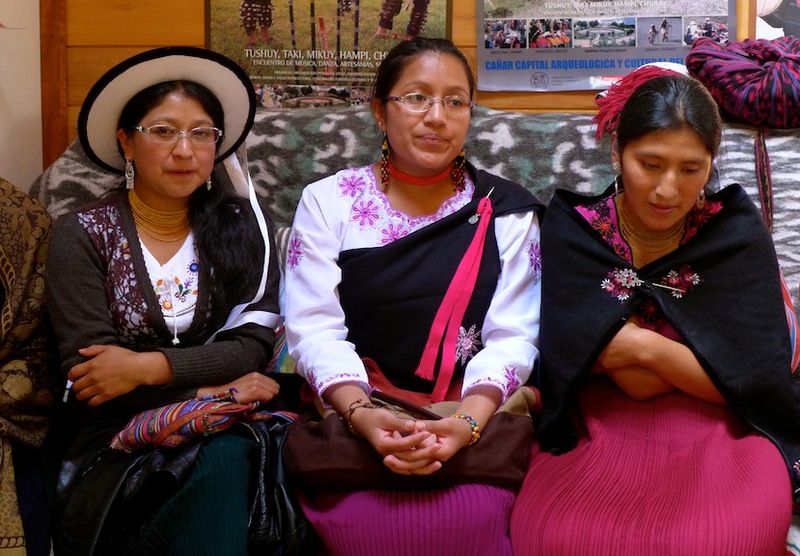 We are proud that the Cañari Women’s Education Foundation is an official 501(c)(3) nonprofit in the U.S., which means your contributions are tax deductible. We have no administrative costs other than this mailing, so every dollar goes directly to the women. I would also like to thank our Portland board members Charlotte Rubin (our trusty treasurer), Francie Lindner and Laura Foster. In Cañar our board of five is elected from the women graduates, with a token (very good) man, the husband of one of our earliest graduates. Please make your checks to CWEF and mail to 2020 SE Ash Street, Portland, Oregon 97214, and you may request a thank you letter with IRS receipt. This entry was posted in scholarship program by judyblankenship. Bookmark the permalink.